This week, I went out and started looking for a few Halloween decorations. I was just looking for a few small things to decorate my bar and to place around my house. One of the items I purchased was this apothecary jar for my bar top. I plan to fill it up with water so so that it blends in with the rest of the bottles on my bar. I also picked up these Dia de los Muertos cocktails napkins which I thought were really cute! 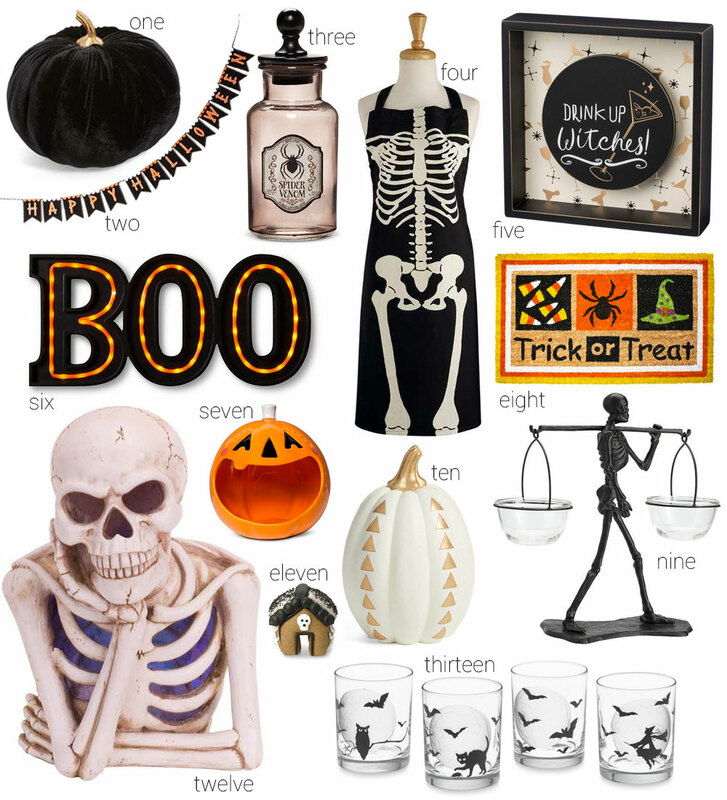 This weekend I think I am going to make my way over to Target as they seem to have quite a few Halloween home decor items. I’m hoping to snag either this “BOO” marquis light or the neon sign. It can replace the current sign that I have up right now until after Halloween.